Well, you may or may not remember that February was the first month in forever in which this blog did not break its "page view" record. March recovered nicely and blew past the record. And since I know you're dying to know what people have been looking at most, here are the top 10 most viewed blog entries for the past 30 days. #1 ... Female vs. Male Brain Oct 28, 2011 ... Again. Increasing its #1 all-time lead. #2 ... My 500th Blog Post ... Feb 5, 2012 ... Again. Still #4 all-time, but if it has a strong April, it will probably move into #3. #3 ... Don't read this pre- #GABF post Oct 11, 2012 ... Still moving up the all-time list at #6. People seem to be reading this despite the title. #4 ... SheppyBrew Zazzle Store Aug 3, 2011 ... Not sure why this became popular this month. No one has bought anything from the store, but someone is at least looking at it. #5 ... 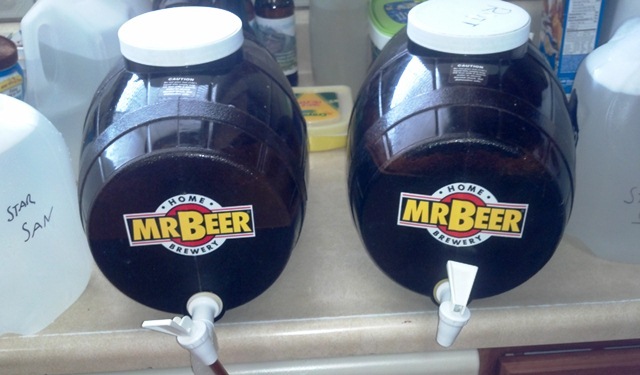 The Problem with Mr. Beer Mar 4, 2013 ... Defending Mr. Beer a little. It seems to be fairly well received. #6 ... All-Grain Version of the White House Honey Ale Nov 12, 2012 ... Continuing to get its due with the same kind of traffic as the White House Honey Porter gets. #7 ... All-Grain Version of the White House Honey Porter Sep 14, 2012 ... Hand in hand with All-Grain Version of the White House Honey Ale. It is still #7 on the all-time most viewed list. #8 ... Pre-event #GABF Post Sep 29, 2011 ... The least interesting of all my GABF posts from any year. Shockingly, it is #8 all-time. I think people just look at this one to piss me off. #9 ... Pale Ale Dec 20, 2011 ... Always popular and currently #3 on the all-time most viewed list. It is a plea to not discriminate beer based on color. It also has a cool SRM color chart which seems to get lots of attention from google images search. #10 ... Falling Pennies Jul 23, 2005 ... Now here is a blast from the past. I have no idea why this one would get attention this month. And that is what people were looking at this past month. That is as good a theory as any, and better than what I came up with. Nice work.